When you travel, health problems are probably the last thing on your mind, but illness and injury can strike anywhere. Between 2009 and 2011, more than 2,700 Americans died from accidents and illnesses while they were abroad. Overall, 23 percent of deaths abroad are injury-related, and 2 percent are caused by infectious disease. 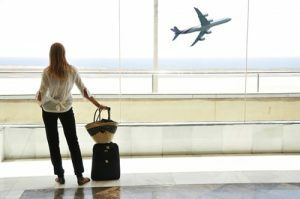 Hazards that travelers may face abroad include unfamiliar environments, language barriers and less stringent safety regulations. The risks for getting hurt or sick while traveling may also be greater among travelers who have chronic conditions such as heart disease or diabetes. When it comes to these ongoing health issues, travelers need to plan ahead to make sure they are in a position to receive medical care that is a continuation of the services they receive at home. What to do in case you require a medical evacuation. For example, when travelling to the U.K., you should be aware that it is better to be taken to emergency rooms via ambulance than to arrive as a walk-in patient. Cutting down on this type of confusion will help prevent delays when you need medical care. Meeting with your personal health advisor is an effective way to prepare for any medical emergencies you may encounter on your next trip.